As new allegations of sexual misconduct against Kevin Spacey continue to come to light, Ridley Scott’s upcoming drama All the Money in the World has opted to remove Spacey from the film altogether and will replace the actor with Christopher Plummer, according to a report from Deadline. However, that isn’t even the most shocking part of this report, as the trade also notes Scott is “determined to keep the film’s December 22 release date,” meaning Sony Pictures will have to get the ball rolling on these reshoots as soon as possible in order to meet its mid-December deadline. 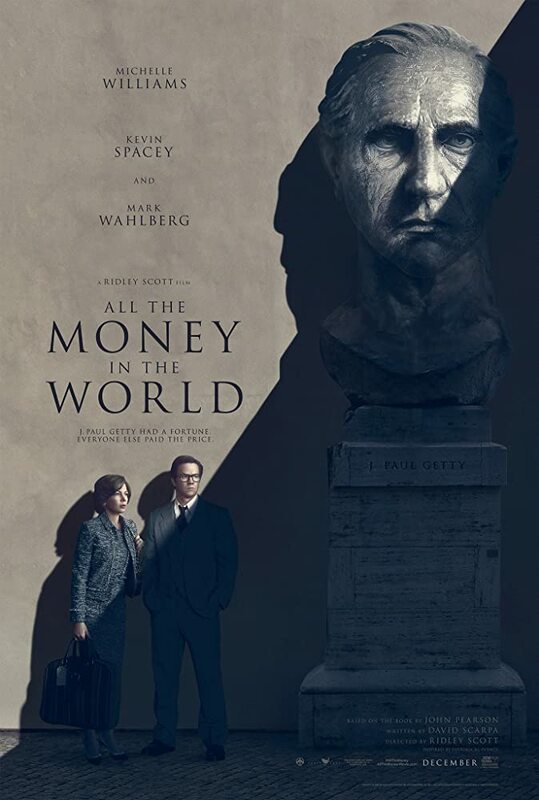 Based on the book by John Pearson, All the Money in the World follows the kidnapping of 16-year-old John Paul Getty III and the desperate attempt by his devoted mother Gail to convince his billionaire grandfather to pay the $17 million dollar ransom. The film was expected to premiere at AFI Fest later this month but was pulled from its closing night slot earlier this week. Deadline also notes that the cast, crew, and studio “unanimously agreed to reshoot all of Spacey’s scenes, with Mark Wahlberg and Michelle Williams’ cooperation part of the mix.” Sony will likely have to re-cut a new trailer and issue a new one-sheet for All the Money in the World, as the current one features Spacey’s face front and center.